My loved one doesn’t think they have a problem, what can I do? The first thing that you need to consider is your own personal wellbeing. Tell someone about the problem. Do not try and tackle the problem alone as you will inevitably suffer the emotional turmoil of feeling helpless. At the end of the day, every addict and alcoholic has their own journey and must be ready and willing to accept that they have a problem and be willing to receive help. Visit our ‘Family Support’ page for more information on what to do as the family member of an addict in denial, and call us for support and guidance as to what steps to take to encourage and motivate your loved one to admit their addiction problem and seek appropriate help. I am worried that my children are being affected by my spouse’ substance misuse, what should I do? Again, your children’s safety should be paramount. They need to be protected from the harm that they are being caused by the actions of the alcoholic or drug addict. What you need to consider is that children, even at a very early age, ‘pick up’ on what is going on around them and this can have massively damaging effects in childhood and later life. If you are a child of an alcoholic you are nine times as likely to become an alcoholic than someone whose parents did not have an alcohol problem (Source: Patrick Carnes, ‘A Gentle Path through the 12 steps’). It is impossible for an alcoholic or addict to be 100% emotionally available to their child and this will have an impact on the child’s emotional development. You will need to challenge your partner’s behaviour and addiction; some would advise that the alternative may need to be to take some drastic action. Some say that addicts need to have consequences or to hit rock bottom before they can become ready for treatment. An intervention may be another option. Call one of our Advisors in the strictest of confidence, you do not have to give your name and we will advise you as to what you can do. 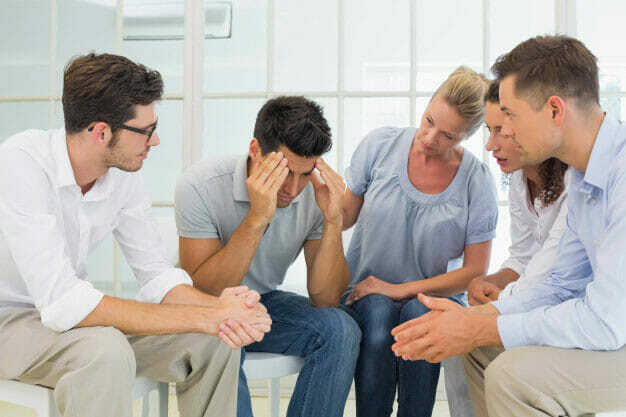 Private residential treatment centres are not bound by the same legal requirements around confidentiality and if you do not wish for your GP or workplace to know that you have an addiction problem, your attendance at the rehab clinic will be dealt with the STRICTEST of confidence. Some NHS community drug and alcohol teams or your GP, for example, may have a legal obligation to disclose information, which is why private treatment can sometimes be a preferable option. However, it may be impossible to say that treatment can be 100% confidential in some special circumstances. For example, it would be wrong for a counsellor or a rehab clinic to promise ABSOLUTE confidentiality if someone disclosed anything that would put themselves or others at risk of harm, or if they disclosed that they had committed a serious crime which could put the public at danger, then action may have to be taken. What are the costs of treatment? Treatment does not have to cost anything and is available on the NHS. However, every year the NHS budget for drug and alcohol treatment is limited despite the number of people needing to access treatment increasing. This means that you may receive slower treatment with long waiting lists. The price of private residential treatment varies according to where it is, the number of staff and the quality and type of amenities on offer. Rehab HC works with some high-cost luxury rehabs and many low-cost affordable treatment services. Your choice will depend on how much you can afford. It is possible to have a residential detox and/or rehab placement funded through local government funding. However, in order to access this funding, you have to be registered and working with your local drug and alcohol team, and you will have to exhaust all local community-based treatment options before you will be considered for rehab. In a lot of instances, it is only those in a desperate situation who are given funding, The waiting lists for funding are also many months in many cases. If you need treatment now, private residential rehab can be arranged immediately. Admission to detox and rehab is very straightforward. Call one of our advisors and we can arrange admission immediately. If you are in a situation where you are concerned for the immediate health and well-being of someone you know, then you must call the emergency services and seek urgent help. Once emergency advice and potential hospital admission have taken place, you can still call one of our Advisors to see what your next step may be.